The human voice has a range of tones which we often call vocal register. 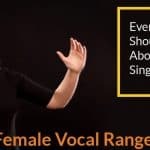 Although vocal register has varied definitions, experts agree on the four types of vocal registers. These four categories include the normal voice, falsetto, vocal fry, and whistle registers. The whistle register—also known as the whistle tone or flute register—is considered to be the human voice’s highest register. This vocal register is so sharp, and its timbre is like that of the whistle. Moreover, it entails specific dynamism from the parts of the body that produce the voice. Thus, it is radically different from the other voice registers. The main reason why it is named “whistle register” is because it has a whistle-like timbre. Are You Really Capable of Singing in Whistle Register? Vocal register, as said earlier, is the range of tones of which the human voice is capable. The vocal folds produce the human voice. Yet, the vocal folds produce different vibratory patterns. These different vibratory patterns hover from one pitch to another. 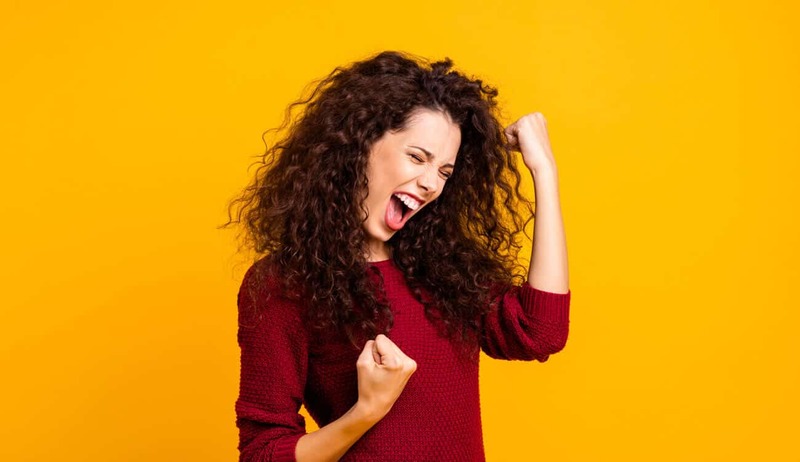 These levels are then called the “range of tones” or “vocal registers.” Speech pathologists say that there are basically three components of vocal register. First, the vibratory patterns of the vocal folds; then, there is a series of pitches; and lastly, the type of sound. The mechanisms used to create registers are almost the same. However, the dynamism of the different parts of these mechanisms vary depending on which register is produced. Head voice, for example, makes use of the whole length of the vocal cords. Whistle, on the other hand, does not. Moreover, with the whistle register, the larynx is covered by the epiglottis to create smaller space. When you do chest register, your vocal cords vibrate at a position that is somewhat closed, while with the head register, your vocal folds barely touch each other. They are also open. Some people could not merely engage in the whistle register. They could not get the air to go through the cords in such a way that it would produce a whistle register. Although anyone can be physically enabled to produce whistle notes; not all, however, can sing in the whistle register. But you can practice high notes using your head voice. These high notes are usually higher than the C. When you push yourself on doing these high notes, you would often feel a flip just around E6. This change or flip is from head voice to whistle register. You can discover this as you train on high notes more often. You will also know that you are on the whistle register when your voice begins to sound like a whistle. However, if you could still feel the vibration or if you notice that your head voice is still blending with your voice, you are likely still in the head register. If you are gifted with a wide range of voice, you can probably sing in the whistle register. However, a debate is still going on whether everyone can learn singing in the whistle register. Well, apparently not all are capable of reaching the whistle register. The reason for this is that those who could not achieve it appear to have limited laryngeal mechanism. This means that their vocal mechanism is not configured to produce a whistle register. Hence, despite their best attempts to learn singing in the whistle register, they generally fail. But how do others achieve singing in whistle register? Well, if you would look at the vocal mechanism of these gifted people while they sing, you will notice that their vocal folds oscillate at the front and only half of the vocal folds touch. This means that there is a partial contact between the vocal folds. This partial contact must be achieved while the vocal folds have been stretched entirely out. So, it needs timing and exceptional ability to do this. Experts agree that the range of tones of the whistle register is between C and F6, though some can even extend their vocal register higher. 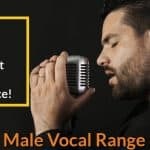 Some gifted guys could sing the highest note, men like Adam Lopez—who holds the record for singing the highest note right above the piano’s highest note. So basically, whistle register is extendable; but it starts at C or C6 and up. Everything is perfected through practice. Similarly, if you practice yawn sighs, you may end up reaching the whistle register range. Always explore new register. A good way to do it is by exploring the yawn sighs practice. First, you should slowly slur from the top of your range of whistle register down to the bottom. You can also try an exaggerated voiced sigh. Do this and slide slowly as you can. 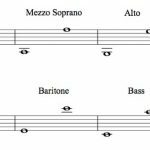 Vocal students usually learn a new register by simply speaking in that register. However, with whistle register, the case is different. Yet, you can still try speaking in the whistle register. You can do this by first doing a whistle. Afterwards, you begin to open your mouth while you whistle. However, you should take note that it is not the mouth that you should use to sing in the whistle register. It is the proper positioning of your vocal folds that bring about the whistle register. You can use this practice of whistling while speaking. But it is not a reasonable guarantee that you will be able to sing in whistle register if you can’t configure your vocal folds into the forms that bring about whistle register. Before you can master singing in the whistle register, you should learn the qualities of the whistle register. Whistler register, of course, consists of very high notes just above the modal and falsetto register. Its timbre is similar to that of the whistle. Many singers like those of Minnie Riperton, Christina Aguilera, and Mariah Carey, and Dimash Kudaibergen use this register. Hence, if you want to learn it, you should listen to these singers and try to figure out how they do it. The sound of the whistle register is somewhat small, bright, focused, squeaky, and piercing. When you are singing in the whistle register, you will feel as if your voice is coming from your head’s top. As said earlier, you should start with a yawning sigh; then you stop while holding the note. Afterward, you should also increase your volume as you start singing. Then, you should try stopping at different pitches and continue holding out each note. 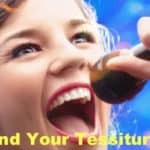 You will also feel like you are swallowing because your epiglottis totally covers your vocal cords just like when you are swallowing your food. As someone who wants to sing in the whistle register, you should at the onset imitate the sound of the siren. The siren usually begins with a low tone then moves to high tone. You can imitate the sound of a siren moving from low tone to high tone. You can also practice vocalizing from high tone to low tone. In this way, you will gain more control over your voice in this register without necessarily damaging your vocal cords. If you are familiar with the head resonance, you will notice that it resonates at the arc of the head. Similarly, whistle register resonates somewhere at the area of the head. Thus, it is crucial that you situate your tone somewhere in this area when attempting to sing in the whistle register. You can practice this by pretending to sing like an operatic singer. You can also do high-pitched yawn. This will allow you to resonate your voice in your head area. The tactic in achieving whistle register lies in your ability to zip your vocal cords while letting vibration to occur somewhere at the front part of the cords. In doing this, you can produce high-pitched notes. If you can achieve this, you will surely find it easy to sing in the whistle register. The point is you should gently zip your vocal cords. Master this zipping sensation as you extend your voice higher. You can achieve high-pitched singing notes through constant practice. So, you should practice as often as you could. But you should always keep your training short. You can also practice drill slurs. This is done by connecting notes instead of singing a whole scale. Engage in two-note to five-note slurs. Eventually, this will surely do the trick for you of learning the whistle register.